A Wolf for the Holidays: Mandy’s not having a great December. Her lackluster girlfriend has given her a massive dog - who looks a lot more like a wolf than a dog - as a gift. But all problems seem minor when she wakes up to a gorgeous, naked woman stealing jeans out of her dresser...a woman who swears she’s a werewolf. 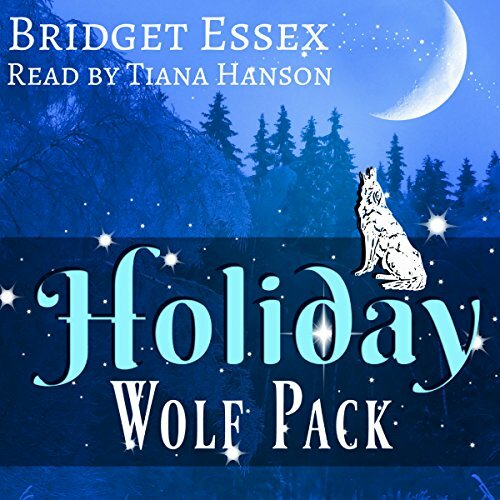 Howl for the Holidays: Georgia’s past mistakes still haunt her, and on her way home for Christmas, she runs into the girl who’d stolen her heart, bewitching, beautiful Carol. Now, 15 years later, Carol is hardly happy to see her. And as a snowstorm moves over the Maine coast, Georgia and Carol find themselves reliving the past...and wondering if they might still have a future together.